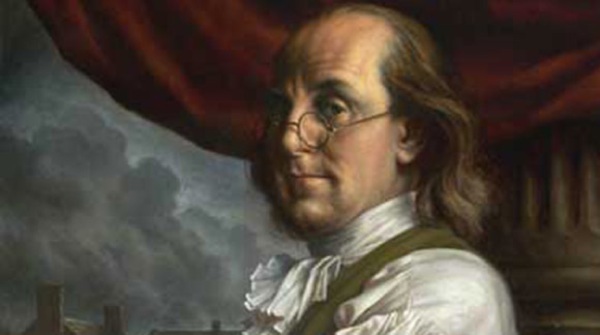 Founding Franklin | WHEN DO YOU NEED BENJAMIN FRANKLIN? When conversing with people about what I do, I am often asked how often anyone would need to hire Benjamin Franklin. There seems to be a limited view of the scope of possibilities for such an interaction. Please allow me to point out some of the things that I have been called upon to do, and that I might do in the future. There is, of course, the desire for Benjamin Franklin to be present at the events of July 4. It is important to have the good Dr.’s presence in historic buildings from time to time; and it is nice to see me walking around the Old City to be greeted by visitors to the city. But do you know, for example, that recently several people have decided that Benjamin Franklin should be present at a Philadelphia wedding. Most often the activity is simply a meet and greet for a reception. In recent years, however, the happy couple have decided that it is uniquely notable to have Dr. Franklin preside over their nuptials. I have performed six weddings, and am scheduled for two more so far this year. Thanks to the Pennsylvania self-uniting license, no certification on my part is necessary, though I am ordained by the Universal Life Monastery Church for venues outside Pa. I do a large number of corporate affairs, greeting people at conferences, holiday parties and receptions. But you may not know that I also serve as a keynote speaker for events, and as a master of ceremonies for corporate programs. Historical societies in several states have engaged my services as a speaker, in character of course, as well as schools in many places. Yes, I also educate. Corporate host, educator, volunteer presence for charities and non-profits, but I also entertain. I have been an actor for more than forty years, and perform regularly in theatrical presentations as Dr. Franklin, most notably in Historic Philadelphia, Inc.’s Independence After Hours in Independence Hall. Last month I sang a popular holiday song with a wonderful local singer to promote her band’s album release. I have done humorous interviews with the likes of 1812 Productions for their annual political satire. I am in the very early stages of writing a play about Franklin and his family relationship. So, when do you need Benjamin Franklin? More often than you thought. And who you gonna call? You know who.